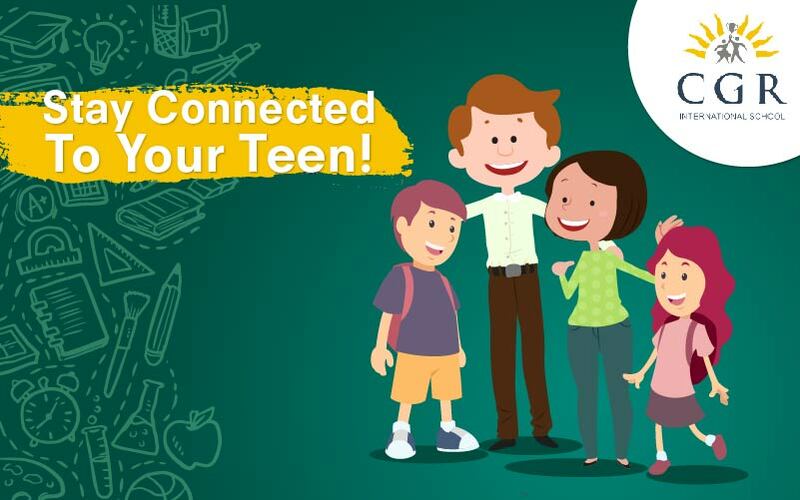 Stay Connected To Your Teen! Have you ever looked at your teenage child and wondered what is happening to him or her? From regular mood swings to risk-taking, your normal teenager’s behaviour can appear anything BUT normal to you. They are irrational, dramatic and scream for seemingly no reason. They feel confounded by unpredictable behaviour and emotions seem to arise like whirlwinds from out of the blue. They have a deep need for independence and tender loving care at the same time. What causes all this chaos and confusion? 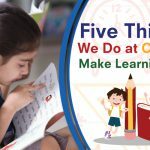 While parents are aware that brain development begins from infancy and continues to adulthood, however, many of them underestimate how much a child’s brain can change from year to year and how these changes can influence their behaviour. There isn’t a parent whose teen hasn’t spoken harshly to them at some point or the other. This might seem bad, however, your child’s behaviour can get even worse if you fail to understand the brain changes that triggers these outbursts. When we look at the bigger picture, we know that sometimes you may end up losing your connection with your teenager child when they actually need you the most. So, through this blog, we would want you to know what NOT to do. Here are a few ways to salvaging your relationship with your teen. Nevertheless there is nothing wrong with this question, however, too often, it’s a rhetorical outburst, blurted out by parents who have run out of patience. What’s worse is that it sends a message to your teen that you think there is something fundamentally defective about them, which can never be changed.So, what is actually ‘wrong’ with your teen?Your child does not think with the same parts of their brain as you. The frontal lobes in a teen’s brains, which controls impulses, reasoning and planning, are the last to be rewired for adulthood. While this is going on, the decision-making ability is redirected via the primal part of your teen’s brain, called the amygdala, which reacts instantaneously and emotionally to any perceived threat.Although it is very easy to assume that teens will never listen to you anyway, on the contrary, they are hypersensitive to your opinions on them. Pretending that they do not care is just their defence mechanism. To your confused teenager, despairing comments from you (who is supposed to love them the most), can cut deep. Such messages get turned inwards into negative self-talk. So, what can you do as a parent? The greatest gifts you can give your teen is to understand that is happening inside their mind. Talk to them and explain that no negative trait is ever fixed or stuck, and that we can all evolve and change. When your teen does something wrong, it may seem natural to yell at them. You might be upset and worried that their behaviour will lead to even worse situations if you don’t put a stop right now. In these moments, you may end up saying things that you may regret.The emotional battering from being yelled at can hurt your adolescent’s feelings, threaten their safety, and alienate the relationship. Fear and resentment from being yelled at can cause your child to become more manipulative and dishonest in communication with you. Moreover, you are teaching your child’s vulnerable brain that shouting is an appropriate response for the activities he or she might be doing.Thus, instead of yelling at them, speak to them calmly, softly and kindly. Your teenager child will be more likely to respond positively because you have shown them respect. “Look at him/her, she is so much better than you” or “Why can’t you be more like him/her?”As a parent, you may know that this is something you should avoid, but somehow, at some point or the other, you may fall prey to the temptation of comparing your teen to their siblings, neighbours, or a cousin.When you compare your teen with others, it will cause self-doubt and jealousy will take root. They will excessively focus on pleasing you and constantly feel that they are not meeting your expectations. This will eventually lead to losing their natural confidence and autonomy.All this will not only will it breed negativity, it may also damage your relationship with your child. As a parent, make sure that you set a benchmark instead of comparing. Encourage your teen to cope with their weaknesses and ask them if they need any help. Don’t set up unrealistic expectations and don’t force them to do something that they are not interested in. While it is a generally tendency among parents to correct their child’s behaviour as and when they make a mistake, but reprimanding your teen in public may promote feelings of shame in your child, rather than guilt.Public shaming your teens can have both short-term effects and long terms effects. When you complain about your child publicly, it can actually change a child’s development, putting undue stress on the brain. Anxiety and depression later in life can stem from a shaming incident caused during their childhood.Instead of shaming your child, sit down and talk with them regularly. Pick a neutral space so that both of you are on an equal footing. Actively listen to your child and use positive reinforcement to praise good behaviour. By being armed with this information, it will make it easier for you to stay connected with your teens. You will be better off praising them when they are being polite, than flying off the handle when they are being obnoxious.